A female GI doctor who specializes in women’s GI issues addresses IBS vs. menstrual cramps related to PMS. What are the differences between IBS cramps and those from premenstrual syndrome? For this article I consulted with Diana Y. Wu, MD, a gastroenterologist with the Center for Women’s Gastrointestinal Health. “The main difference between menstrual cramps and IBS cramps would be the timing,” begins Dr. Wu. “Menstrual cramps usually occur a few days before onset of menstruation, whereas IBS cramps can occur at any time, especially in the mornings, after eating, or in times of stress/anxiety. The cause of the cramps in irritable bowel syndrome and in PMS differs. In PMS the cause is hormones called prostaglandins, which is why the anti-prostaglandin drug, ibuprofen, is so effective at relief. The prostaglandins cause uterine contractions, and that’s the “cramping” that a woman feels. “The pathophysiology of IBS remains unclear and is believed to be multifactorial,” continues Dr. Wu. I’ve never had IBS so I can’t describe what the cramping feels like. But I’ve had cramping from premenstrual syndrome and microscopic colitis, and they feel identical. Ironically (though not surprisingly), prostaglandins are implicated in flare-ups of microscopic colitis, though research in this area is scant. I know that the cramping I had, during the microscopic colitis flare, was related to this benign inflammatory bowel disease because when it happened, I had already completed menopause. Very fascinating! But prostaglandins don’t seem to be involved in the cramping of IBS. Bacterial overgrowth and food sensitivities are theorized to be causative factors behind microscopic colitis, which is often misdiagnosed as IBS…and vice versa. Dr. Wu further explains, “Visceral hypersensitivity (increased sensation in response to stimuli) is a frequent finding in irritable bowel syndrome patients. “Several studies have focused on increased sensitivity of visceral nerves in the gut, triggered by bowel distention or bloating, as a possible explanation for IBS symptoms. “About half of patients with IBS experience bloating in addition to abdominal pain. 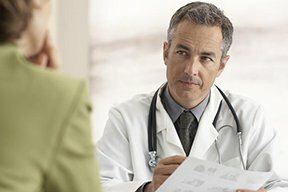 Is there a way a woman can tell if the cramps she feels are IBS related or from PMS or mid-cycle cramping?